You probably already know this about me, but I am an avid mason jar hoarder lover. I mean, I really love those things. They're used for just about everything in my home like tea light holders, flower vases, drinking cups, canning containers (of course), homemade sauce and salad dressing holders, bathroom essential containers, etc. I kid not- they are everywhere. I even have back up boxes full of "extras" in my closet, under my kitchen sink, and above our armoire. You know, incase any break and the only thing that can replace it is more mason jars. I'm like the SNL skit with Will Ferrell: I got a fever and the only prescription is more cow bell mason jars. Ay y y. My poor husband. So it only made sense after seeing all my friends with their adorable mason jars converted into to-go tumblers with those nifty brightly colored lid things, that I needed one as well. We're always filling up reusable water bottles when we head out, anyway. Also, our kitties love to drink anything we have out in open containers, so we're already drinking all our beverages out of closed tops too! The idea was so smart and so fun! Thing was, we're a bit on a budget, and shelling out the money for those plastic converters wasn't something we thought we could do. So, DIYing it, it was! 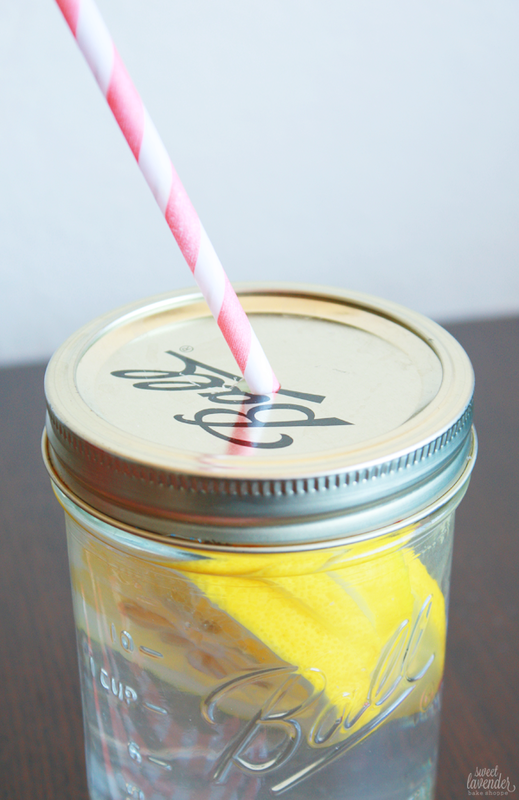 Making this to-go mason jar tumbler is super easy! All you need is the right tools and about 20-30 minutes! 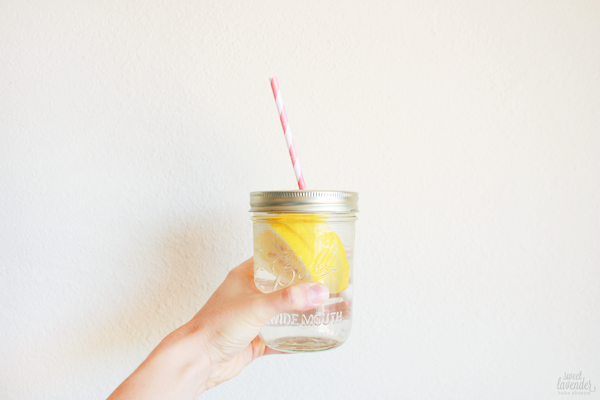 Make sure you choose a mason jar that is large enough to hold a good amount of liquid, but preferably small enough to still fit in your car's cup holder! If that's not something you care about, choose a mason jar that will fit your needs. For my tumbler, I chose a jar that would hold 16 ounces and was about 2.75-3" wide. Held a good amount of liquid, but totally still fit in my cup holder! 1. 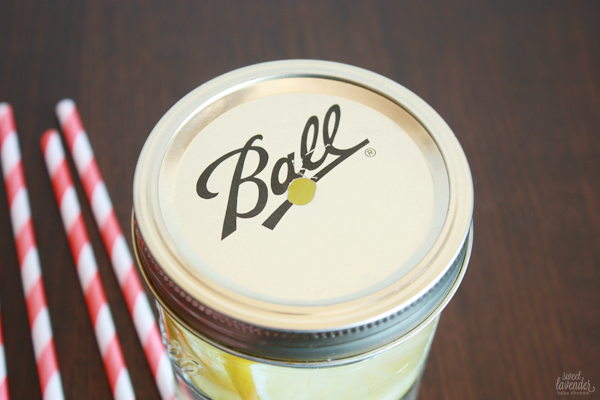 Remove 2 piece lid from mason jar. Set aside jar and ring- you'll only need the flat disk for this project. 2. Find the middle of your lid's disk and mark it with a marker or Sharpie. 3. Next, take your straw and match it up to the correct size drill bit. Because there will be liquid in these jars, we want our hole in the top to be as small and as close to the width of our straw, as possible. So, find a drill bit as close to the width of your straw as you can. 4. Next, with your drill fitted with the appropriate drill bit, drill a perfect hole through the center of your lid's disk- right where you marked. Be careful while doing this. 5. Finally, using a dremel tool fitted with a metal sander/grinder bit, lightly and carefully sand away any and all burs of steel you might have made, while drilling the hole. Make sure to sand the top and the bottom of your lid's disk. Then, all you have to do is REALLY wash your jar, lid, and ring and use! This was SUCH an easy project, that we made two different sizes! I have literally been going back and forth between the two tumblers since we made these! Iced coffee in my car, lemon or lime water at home, I don't think I've drank a single thing out of a normal cup since, haha. And how easy would this be to make for loved ones' presents? Everyone loves mason jars, amiright? So head to a thrift store, or your local Target, pick some up, and get to craftin'! One of these accompanied by a little package of cute disposable straws would be such a fun gift idea! 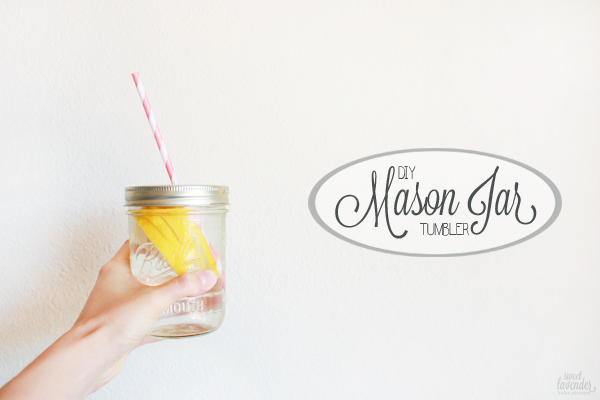 DIY Mason Jar Tumblers is where it's at people! Well now, just how stinkin cute is this? 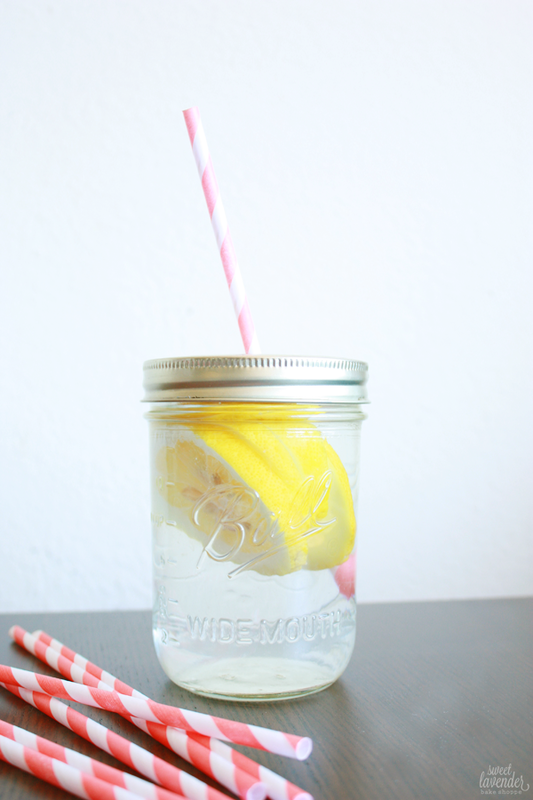 Christina, these are wonderful --- and the bright lemons + water look so refreshing! Happy (almost) summer! It's not a tumbler at that point. It's just a mason jar with a hole in the lid. Which is what the tumblers are based off of. A tumbler is a double walled cup made for insulation. Adorable! I totally want to make some of these! Happy almost summer to you too, Sara!!! :) Aw thanks friend! So hope you'll make one! This is cute!! The power tools make it seem like a "big" project, but I'm sure in reality it only took a couple minutes. Great gift idea! Such a cute gift idea! And I'm with you on the hoarding part...every time I see one, I want it. My husband is always like, "Um, it's a clear glass. You already have 75 of them." But it's so much more!